Our low fee rates may help you reach your goals faster. Wealth management fees are automatically charged to accounts each month after services are rendered. 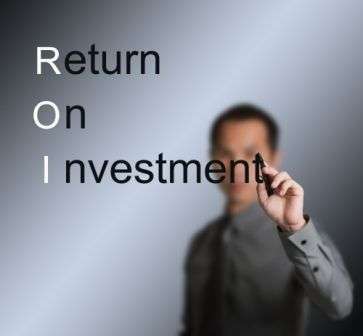 Bionic Wealth Management focuses on YOUR ROI. We design investment portfolios with publicly-traded equity, fixed income and alternative asset classes. Our decisions are based upon macroeconomic, political, market conditions and other factors. Securities within asset classes are changed as necessary. Initial target allocations to each asset class are determined based on client needs, time horizons, and risk tolerances. Allocations are updated based on changing personal circumstances and may be adjusted as market conditions warrant. Broad, global equity exposure is fulfilled primarily through purchasing tax-efficient, low-cost ETFs. Typically, there will be no attempt to select individual stocks in these portfolios. Fixed income allocations consist primarily of no-load, institutional-share mutual funds and closed-end funds. The current mix of funds offers relatively high yields and some protection against rising interest rates. In exchange, our portfolios may exhibit slightly higher credit risk than typical aggregate bond indexes. Alternatives may include strategies such as risk arbitrage, long/short equity and managed futures through structures including mutual funds and ETFs. Commodities, precious metals, MLPs, or REITs may be purchased through mutual funds and ETFs. Alternatives are chosen when they are deemed to display appropriate risk/return profiles and are suitable for the investor and his/her portfolio. Pie chart allocations are for illustrative purposes only. Normally, minimal cash positions are held. *The current Portfolio Model is meant to be representative, may differ for each client, and may change at any time. For no-load annuities, life insurance and other wealth management services, call us at 310-734-8500. Use the calculator below to track your financial progress.